KANSAS CITY, Mo. — In recent days, there's been an influx of calls at the Bishop Sullivan Center in Northeast Kansas City. Many of them are from furloughed federal workers and families impacted by the government shutdown. "We often see families coming saying 'I never expected to be here, I have never asked for help like this, what do I even do? Am I doing this right? I don't know but I need food for my family. My kids are hungry,'" Chanelle Zak, Director of Communications at the Bishop Sullivan Center said. The center's food pantries on Truman Road and Troost avenue are gearing up, as recipients of the Supplemental Nutrition Assistance Program (SNAP) are forced to ration their benefits from January and February at least through March. "I think this January has been busier than the last few January's I've been down here," said Mike Jankowski, a retiree who has volunteered at the center for four years. Jankowski said he sees the gratitude on people's faces as they pick up the donated goods. "Bread, milk, pies, just anything. Fresh vegetables are really going great now too," Jankowski said. All of it made possible through the community's generosity. "Neighbors helping neighbors really so financial donations are crucial," Zak said. 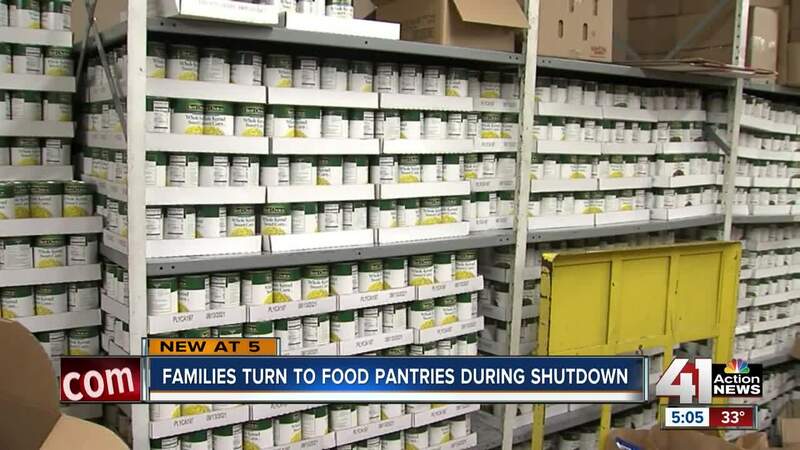 Not just to this organization, but for other food pantries in the metro. "We're all in this together, you know there is no competition because we all have the same mission in making sure that everyone has food to eat tonight," Zak said. At the center's food pantry and many others across the metro, clients may visit once a month. Bishop Sullivan also helps with rent and utilities as well as employment placement, for more information visit their website.